If you love the flavor of lemon meringue pie, but not the fuss of making one or slicing one, then these little treats are perfect for you. 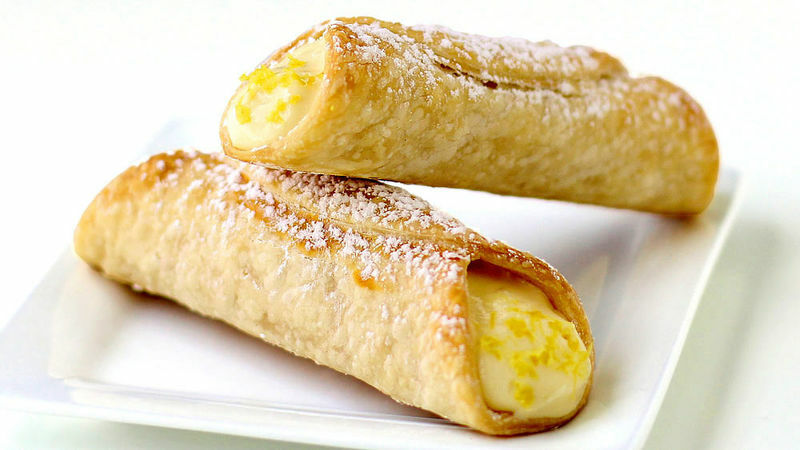 With each bite you'll enjoy the crispy crunch of flaky pie crust and a pop of tart lemon flavor balanced with the sweetness of marshmallow and cream. Bring these individually sized desserts to a party and everyone can just grab one. No one is stuck slicing a pie and cleaning up the mess. 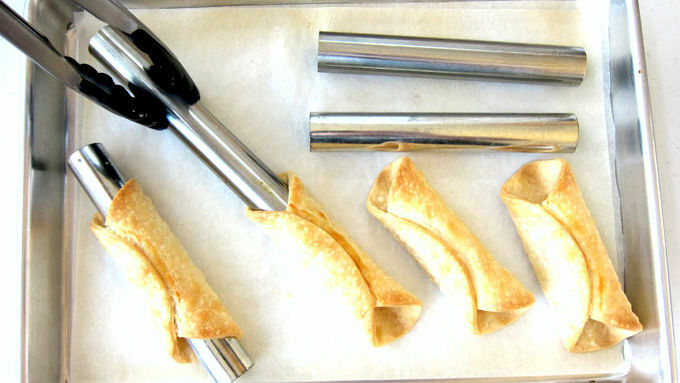 You'll need 8 metal cannoli forms for this recipe. If you don't have any, you can find them for a few bucks at a kitchen supply or home goods store. You'll also need a 4 1/2 inch round cookie cutter. Don't, have the cutter? Just find a bowl that's close to that size, set it upside down on the dough, and cut out around it. 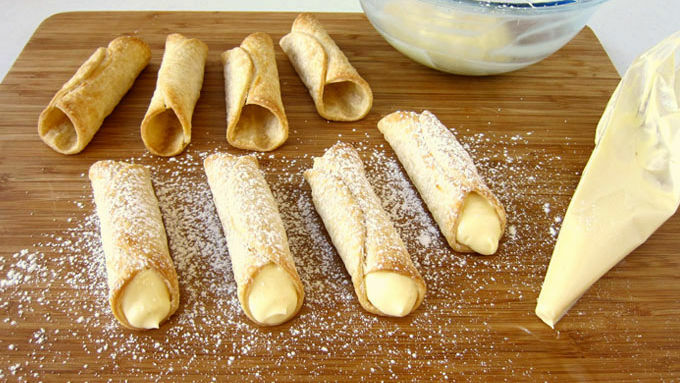 Once the pie crust cannoli shells are baked and have cooled, you can pipe in the lemon meringue pie filling. Sprinkle on some lemon zest if you want to punch up the flavor and add a bit of color contrast to the pale yellow filling. Enjoy!